The process of backing up refers to the copying and archiving of computer data so it may be used to restore the original after a data-loss event. Having a backup system in place can provide peace of mind; however that peacefulness will be short lived if you have chosen the wrong backup setting. Choosing between Syncing, Mirroring, Copying and Full Backup can become confusing since they are all considered a form of backup—each offering unique benefits. Using mirroring as the backup option, here’s an easy-to-understand solution to keep your photo library backed up to ensure your data is safe and prevent your work day from being disrupted in the event of a hard drive failure. We want to store our photo library on two external hard drives and a third offsite, using cloud storage. Our photo library will be identical bit-for-bit on two external drives while the cloud storage will keep a copy of all photos, changed or deleted. If we have a hard drive failure, we can use the second local drive until we rebuild the failed drive. If both drives fail, are damaged or stolen, we can use the third offsite cloud drive to rebuild our photo library. There are many software programs to backup hard drives. Both Windows and iOS have built-in programs. There are also many 3rd party programs—SyncBackPro, Acronis, and Carbon Copy Cloner for mirroring, Backblaze, CrashPlan and Carbonite of Cloud backup—to choose from. They all offer similar features. Although setup maybe a little different, the concept is the same. For this example, let’s use Syncback Pro to mirror two local hard drives and Backblaze for a full Cloud backup. Mirroring creates two identical copies that are only updated one way. We want our second drive to be the same bit-for-bit. If the main drive fails, we swap and use the mirrored drive until we rebuild a new one. No downtime. Syncing, on the other hand, also creates two identical copies; but they are updated both directions. If a file or change is detected on drive A, drive B is updated. If a file or change is detected on drive B, drive A is updated. If a file is deleted on one drive, both are deleted immediately. Imagine accidentally deleting an image or your entire Photo Library! For our example, this ISN’T RIGHT for us. We want our Photo Library to be updated at a set time every day. If we accidentally delete an image or a folder, we have time to fix the mistake. Organizing your photos into subfolders and keeping them under a main folder such as My Pictures or Photography, will make backing up your Photo Library simple—not to mention the convenience of finding your photos quickly. SyncBackPro allows multiple backups. Profiles organize these backups and keeps everything nice and clean. Step 1: Create a new profile by selecting New from the Profile menu and name the new profile Photo Library; then click next. Step 2: Select the Mirror option to ensure both drives will be identical. Click next when done. Step 3: Select the default, Internal/external drives, network path, etc. from the dropdown list as the Source and Destination for your Photo Library. Click done when finished. We are first going to select the ROOT FOLDER of both the source and destination drives, then select our Photo Library folder. This will keep the file structure identical. Step 1: Choose the source directory by clicking on the file icon, then browse and select the ROOT FOLDER that your Photo Library folder is under. Click select folder when done. Step 2: Choose the destination directory by clicking on the file icon, then select the ROOT FOLDER of the drive. Step 3: Select your Photo Library folder by clicking Choose sub-directories and files. Uncheck the box next to the root folder. Browse to your Photo Library folder and check the box. Click OK when done. Let’s run the new profile for the first time, then create a schedule to automatically run the profile. Step 1: There are several ways to run a profile. The easiest is to click the Run icon found at the bottom of the screen. Step 2: SyncBackPro selects your Photo Library and prepares the backup. If a conflict occurs, SyncBackPro pauses and displays the information. After reviewing the information (and correcting/changing, if necessary), click Continue to processed with the backup. Step 3: Scheduling an automatic backup is easy. Click on the schedule icon found at the bottom of the screen. A dialog will appear if this is the first time you are scheduling a backup. Click Yes to continue. Step 5: To run the backup every day, select daily and choose a time when your computer isn’t being used. In the security section, choose “Run whether user is logged in or not.” Click OK when finished. Cloud backups are the easiest kind to create and maintain. For as little as $50 a year, Backblaze, CrashPlan or Carbonite are very affordable. To get started you create an account, download software, run it once to enter your account information, and set any preferences that you want. After the initial setup you don’t need to do anything: the software will automatically keep your computer backed up any time it is turned on and connected to the Internet. Once your files are uploaded, you never have to worry about uploading them again unless they are changed. Even then, the software is smart enough to know what has been changed and only send the changed data. If a file is changed several times, it keeps a version of each change. This is helpful if you need to restore a different version other than the last saved copy. It even saves deleted files! 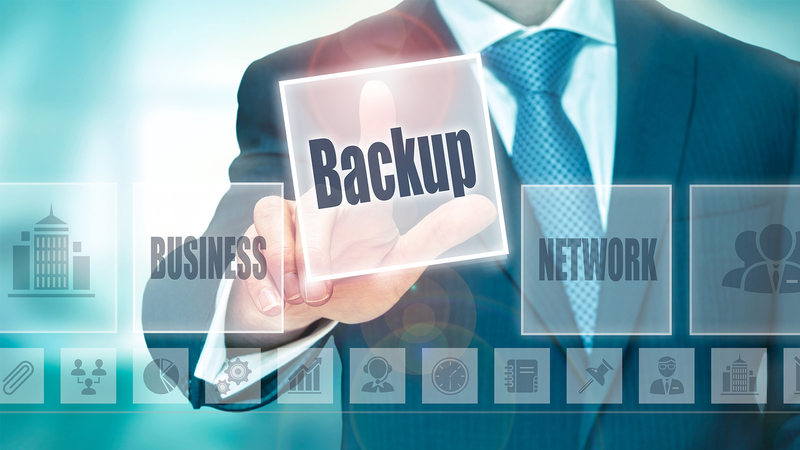 The main downside with setting up an offsite backup is the initial upload, which can take a few weeks or even months. This depends on how much data you are trying to upload and the speed of your connection. It’s best to backup your most important files first—your Photo Library being one of them—and add the other files later. If you are in a real hurry, some companies will ship you a hard drive and have you perform an onsite backup then ship them back the drive. This is a fast option but it comes at a cost of about $250 per drive. Another potential negative is if you lose both of your local drives and need to get all of your files back. In that case you would be limited by the speed at which you can download from your cloud backup provider or again pay an extra fee to have a hard drive sent to you. This is the absolute worst-case disaster scenario. Even though this would be a pain, you still have access to files you would have lost forever. Having three copies of your files—two stored locally and one stored offsite—will guarantee your Photo Library and your important files are safe from the worst possible disaster scenario.